After finishing our backyard renovation, we have been working on all kinds of little projects outside, things that will make our garden and yard a little more colorful and creative. My favorite project has been creating a family rock garden- we have a couple of spots with really rocky soil and a colorful rock garden was the perfect solution! 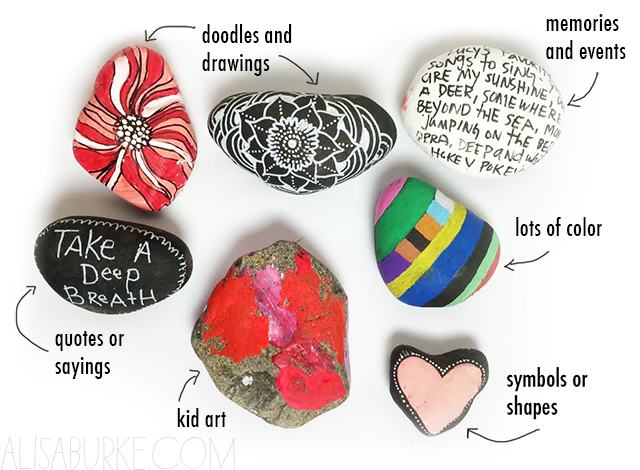 Painting rocks is nothing new or original but it is truly one of my favorite simple projects for anyone, any age! So over the last month we have been collecting and painting rocks as a family. We thought it would be fun to incorporate all of our different styles and things that are important and special to us as family- like writing down memories and moments, our favorite quotes, song lyrics or things we like to say around the house, shapes and symbols, doodles and drawings and all kinds of colorful designs. 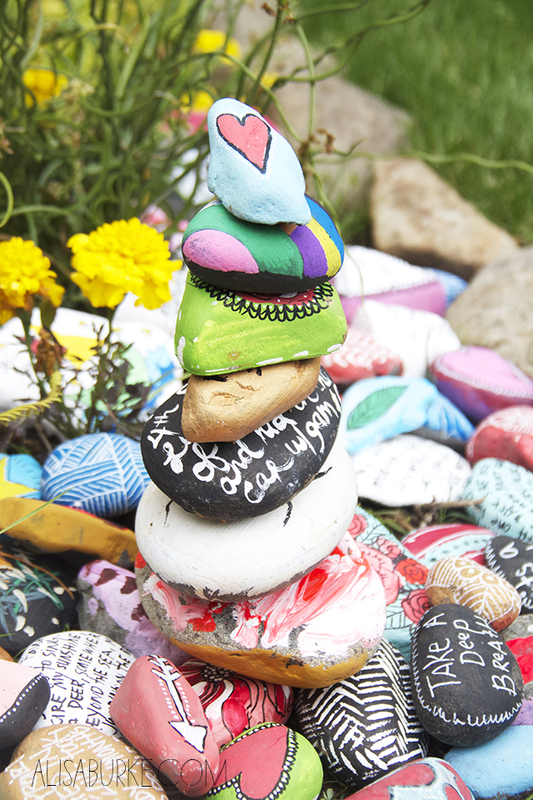 We've created lots of rocks and have challenged ourselves to continue to create more as the months go by. 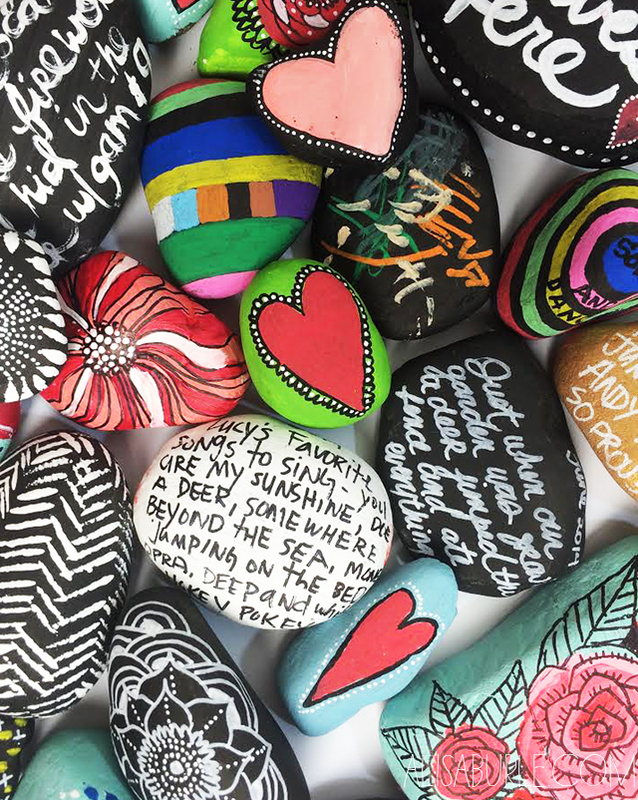 We even plan on inviting guests and family to paint a rock when they come over to add to the collection. 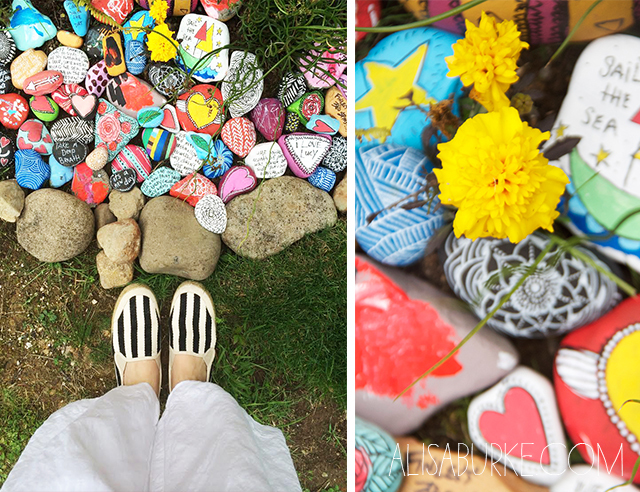 The idea is to have a big rock garden full of color, creativity and memories that can be collected over time. Tip- Finish painted rocks with a clear coat of polyurethane to keep paint safe from the elements. Lovely, and I like the idea to inclusive friends and family! We have lots (Not as many as you have...) in our garden - nice memories! ... What did you discover Lucy doesn't like? This is a gorgeous idea! 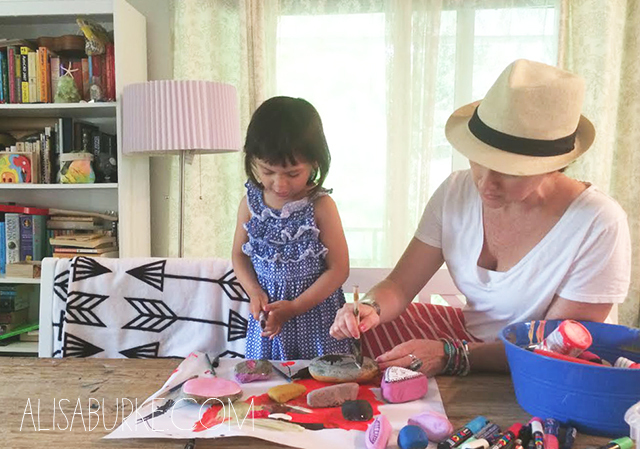 I'm definitely going to try this with my family, thanks for sharing! Love this! Have the perfect spot, just outside my studio. Bella idea! Così è un giardino di un'artista!!!! Good idea! So it's a garden of an artist! there are no words to express how much I love this! Your posts always make me smile! They are so full of happiness! I love the rock garden. So interesting to look at. I absolutely love this! 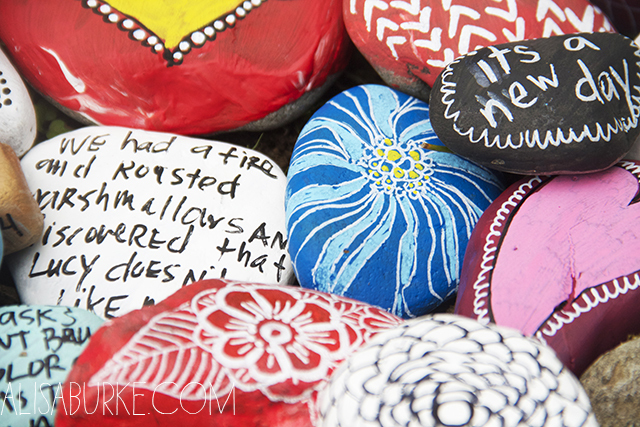 I have always loved painted rocks….thanks for reminding me! I like that idea! 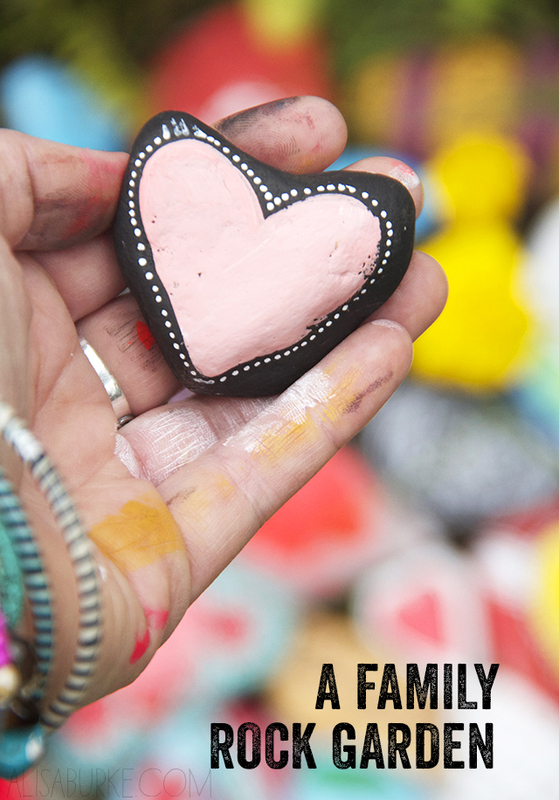 My children are almost teenagers, so they may or may not help me create some painted rocks to decorate our flower bed...the more I think about it the more I love it! Thanks!